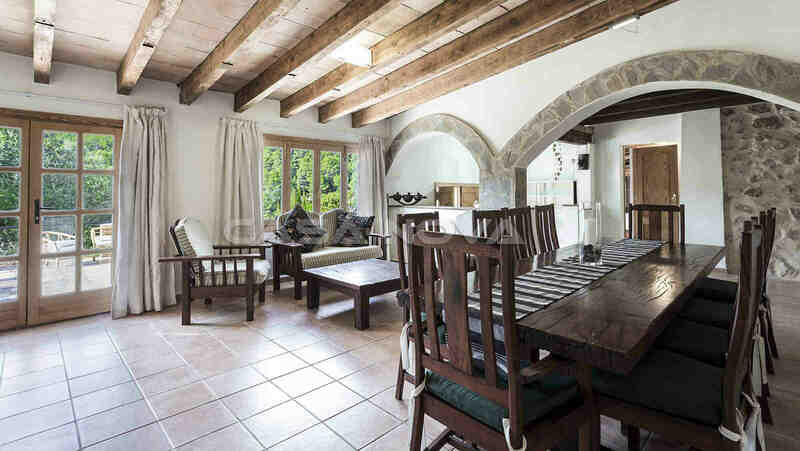 Mediterranean Finca Mallorca: This charming country house lies only few minutes from the local core in Andratx, in the southwest of the island Mallorca. 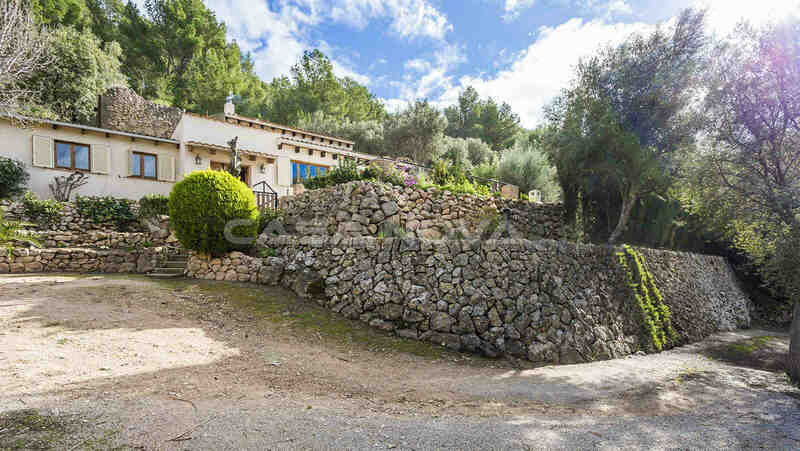 This Mallorca Finca has a plot size of approx. 706 m2 and has approx. 152 m2 of living space. 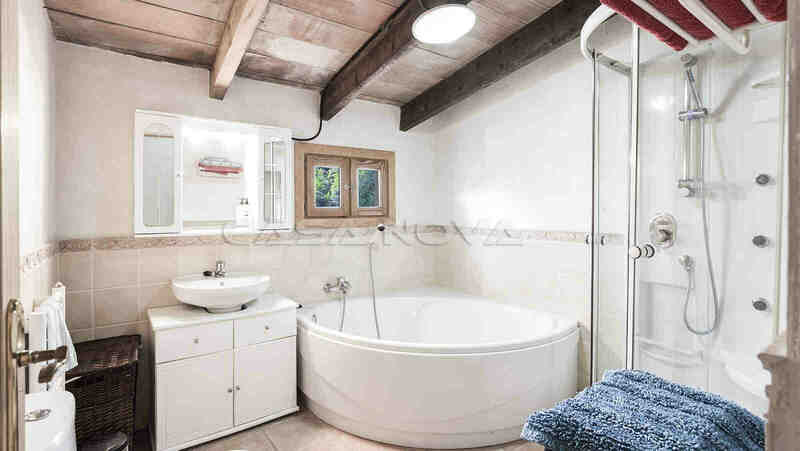 Here you can enjoy the quiet green surroundings and the highest privacy. 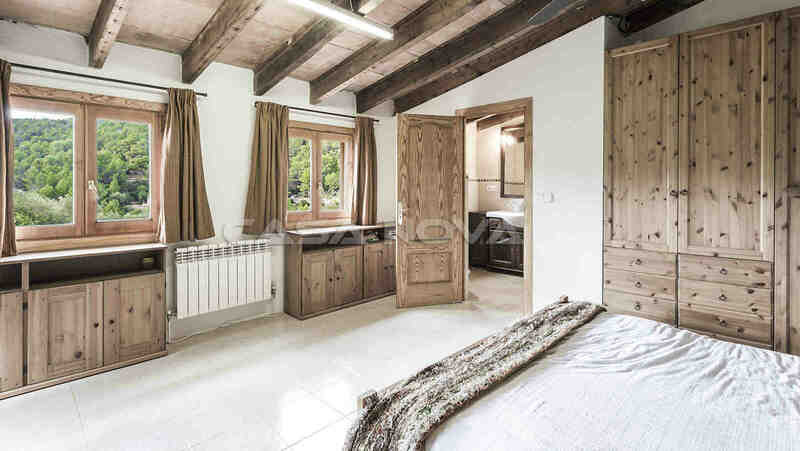 Since 2005 this Finca has been renovated cleverly and gives this real estate Mallorca the typical Finca style. 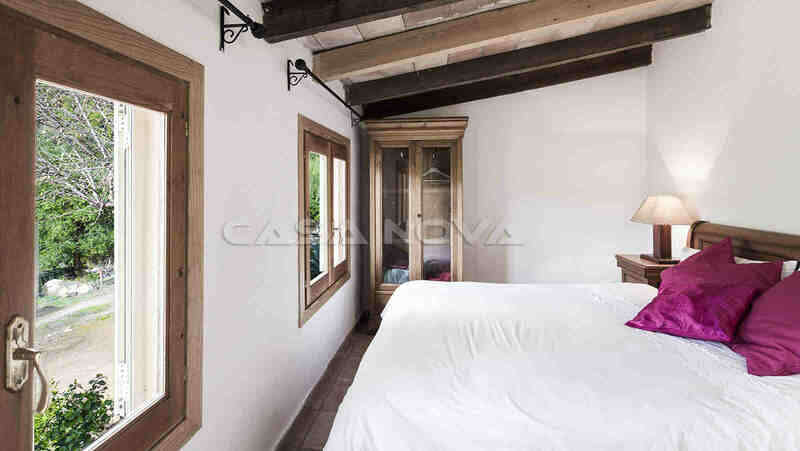 The country house Mallorca has 3 bedrooms and 2 bathrooms, one of it en suite. 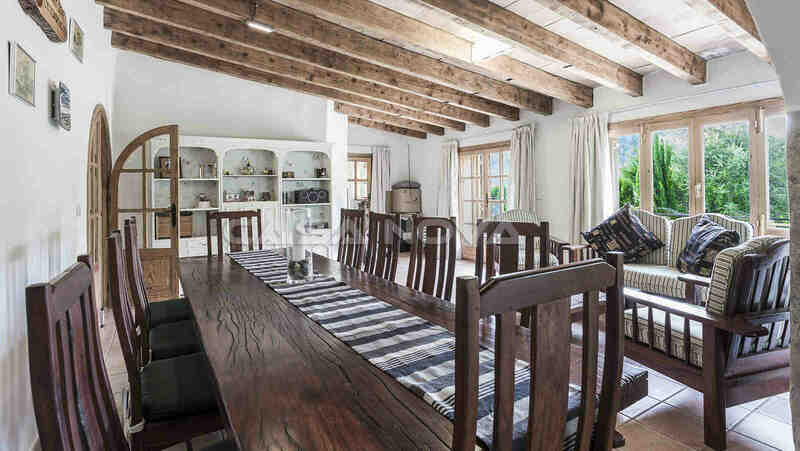 Through a comfortable entrance area you reach an open residential dining room with access to an approx. 70 m2 solar terrace. 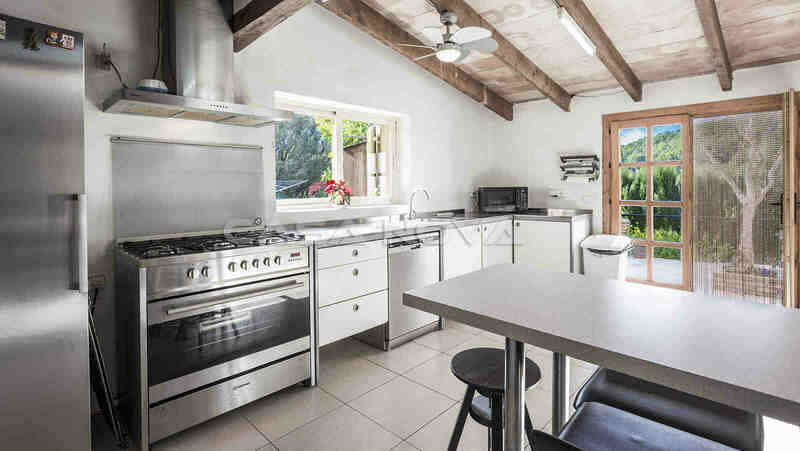 The totally equipped and big fitted kitchen with bar also has an access to the terrace. The sleeping tract with 2 bedrooms is passable from the outside though a separate entrance. 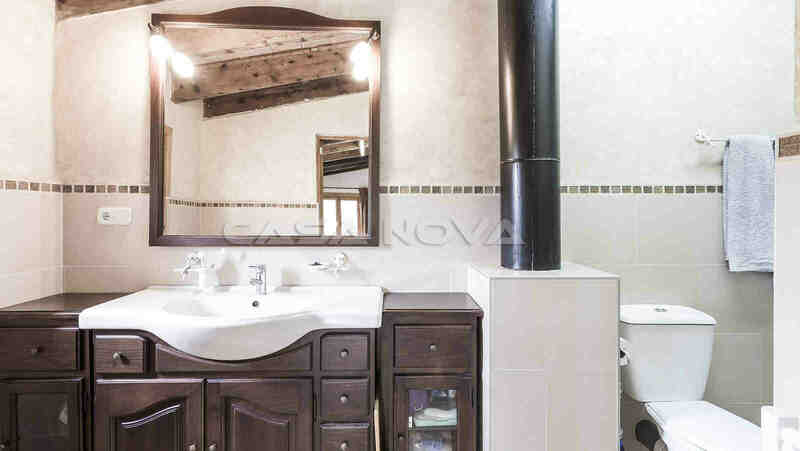 In the upper area you have the master suite with air-conditioning and bathroom en suite. 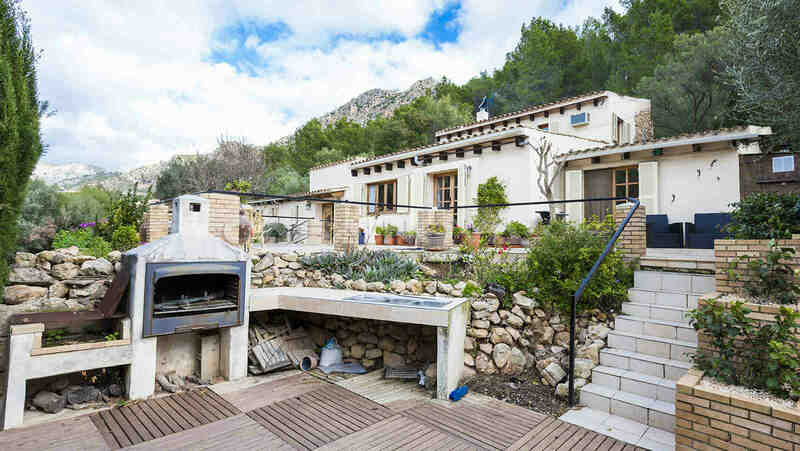 Other equipment characteristics of this Mallorca real estate are: Oil central heating, under-floor heating in the ground floor, 30.000 L of water tank, double-glazed wooden windows, SAT TV, ADSL, partly new isolation, ceramic tiles, storerooms and 3 passenger cars parking lots. 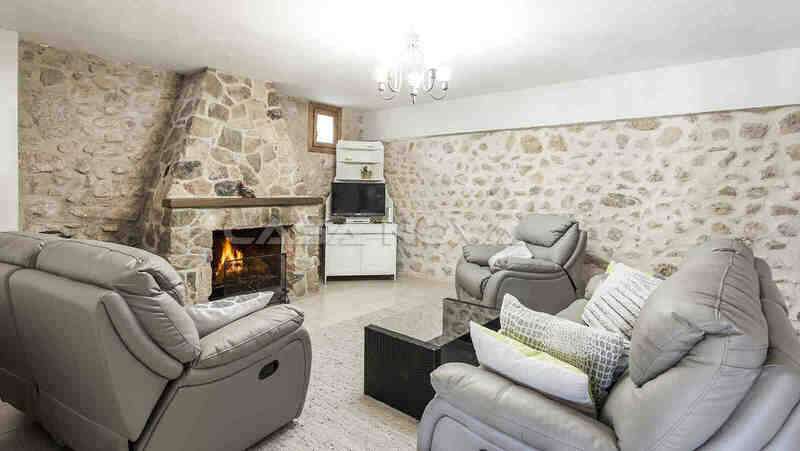 In the outskirt area are different terrace areas in southwest orientation and a BBQ-summer kitchen, from where you can enjoy the evening hours with Mountain View. 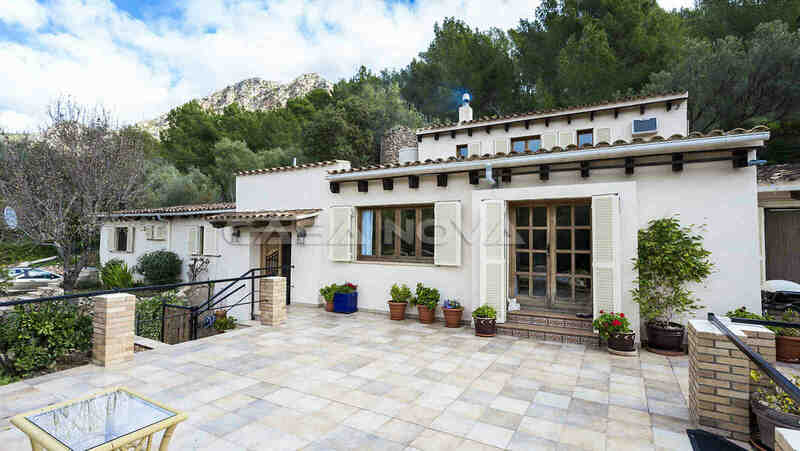 Andratx lies in the southwest of the popular Balearic Islands Mallorca. The quiet place has approx. 9.000 inhabitants and is very popular. The weekly market takes place every Wednesday. Here the inhabitants of Andratx, and also many vacationers meet. Beaches, golf courses, water activities are accessible in only a few minutes. To Palma de Mallorca you drive about 30 minutes and the international airport is accessible at approx. 40 minutes. 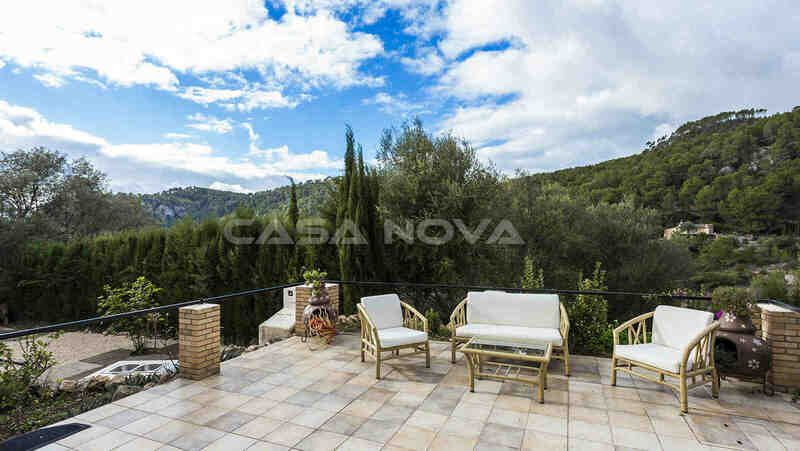 This Finca is presented to you by your estate agent Mallorca, Casa Nova Properties in the southwest of the island. For the buyer originates no agency fee!